25 Park Row, the 50-story luxury condo on the former J&R Music & Computer World Site developed by the Family behind J&R Music World and L&M Development Partners Inc, overlooking City Hall Park. 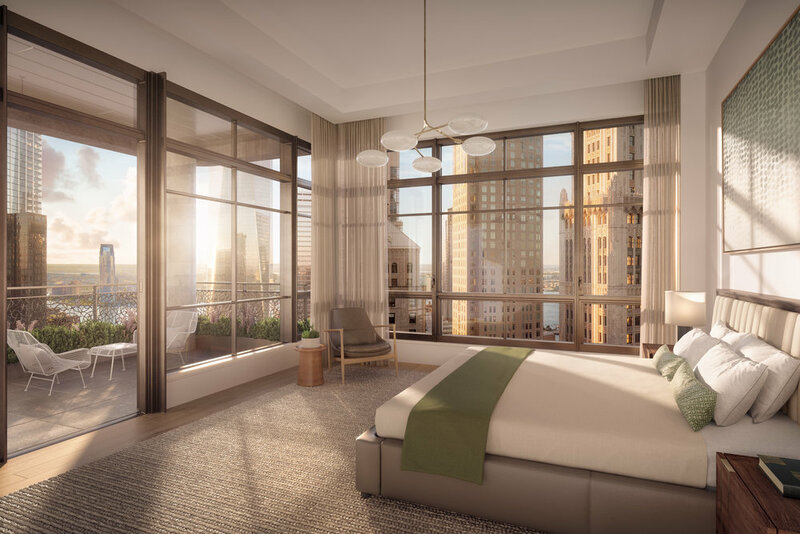 COOKFOX Architects has also designed the interiors for 25 Park Row, which feature 110 residences ranging from one- to five-bedrooms from 900 square feet to over 3,500 interior square feet. 25 Park Row is located on the former site of J&R Music & Computer World. One of Manhattan’s most well-known commercial destinations, it opened in 1971 as New York City's first music superstore. It has a rich history hosting the world’s biggest musicians including Beyoncé, Justin Bieber, and John Legend. 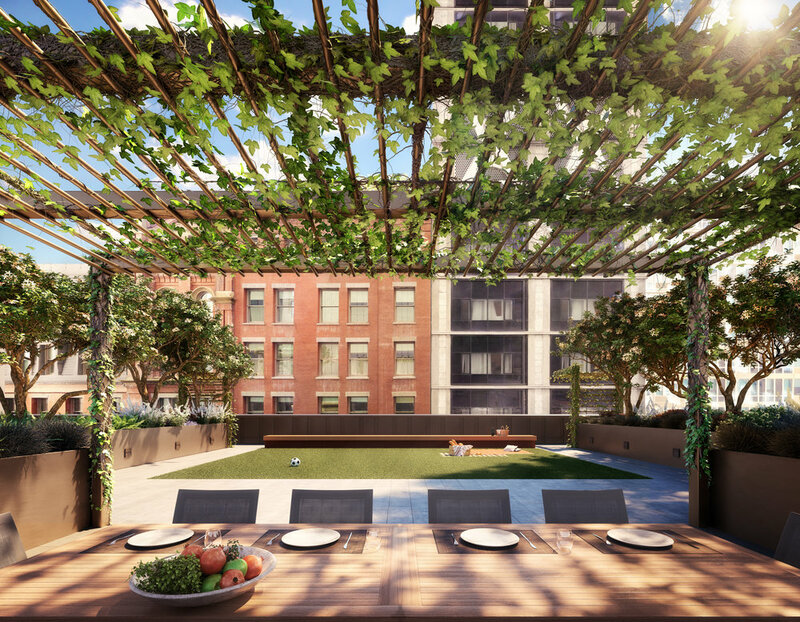 The building will feature 110 spacious residences ranging from one- to four-bedrooms and a five-bedroom penthouse. The building will rise 665 feet tall with 50 stories. 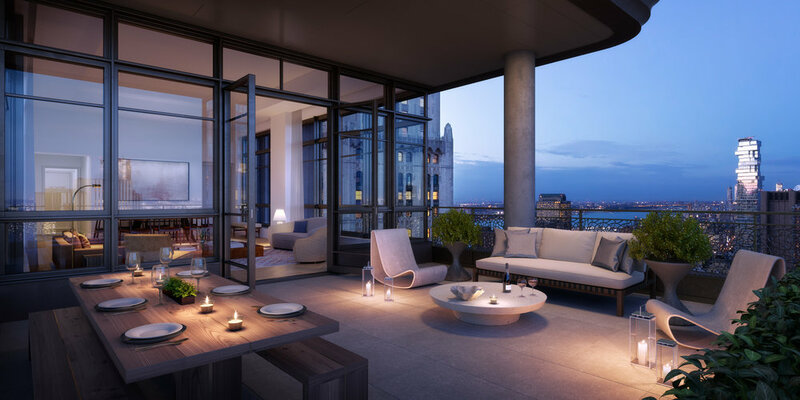 Homes feature sweeping panoramas of the Hudson River, the Woolworth Building, the Brooklyn Bridge, and One World Trade. Kitchens feature Calacatta Gold marble countertops and backsplashes, Miele appliances, a Sub-Zero wine refrigerator and a stainless-steel sink with InSinkErator disposal. Cabinets are offered in two custom pallets in Cerused white oak or walnut. Many kitchens also feature a cantilevered island, custom shelving and a seating peninsula. Master bathrooms feature: Calacatta Gold countertops, flooring and walls; European white oak vanities accented with metal detail; Kallista polished nickel fixtures; and a water closet by Toto. 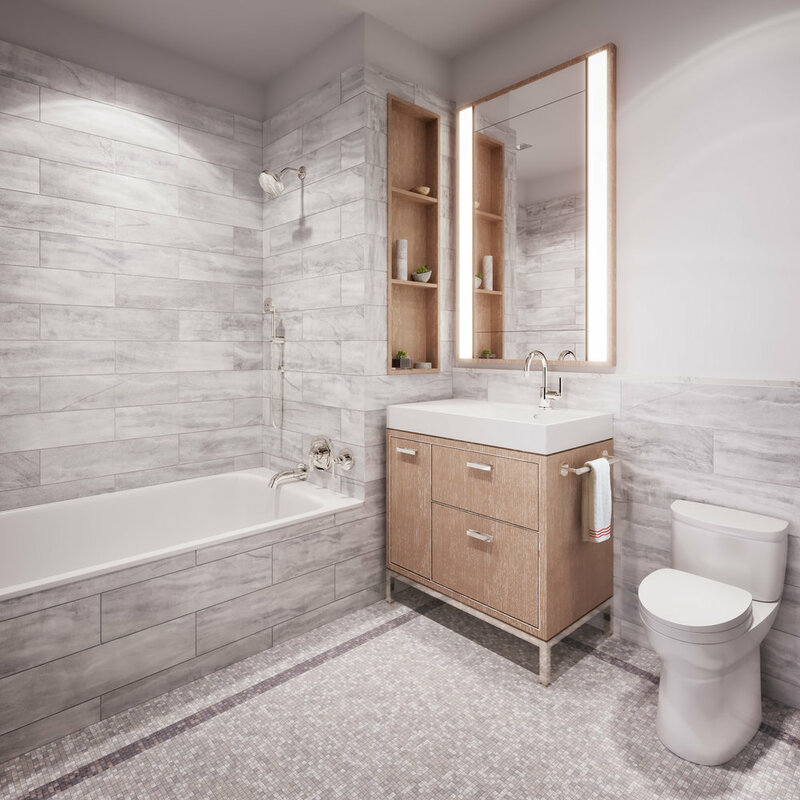 While Secondary bathrooms include a European white oak vanity with a Lacava marble countertop and grey marble walls with mosaic tile flooring. Powder rooms feature a sculptural Calacatta Gold vanity and flooring with a Nero Marguina marble border and accent wall. 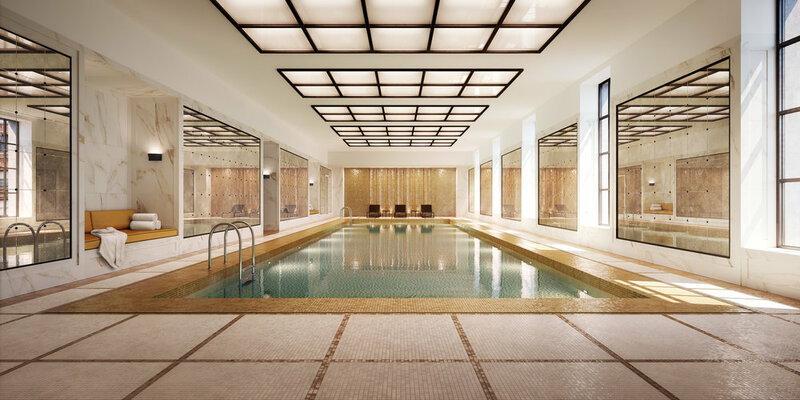 Amenities include a 65-foot swimming pool, spa treatment room, park-facing gym, and a private yoga and meditation studio. Entertainment and social offerings include a grand library with a fireplace, resident’s lounge, private dining room, golf and billiards sporting areas, whimsical playroom suite, furnished terrace with a private lawn and grilling kitchen, and an outdoor playscape. 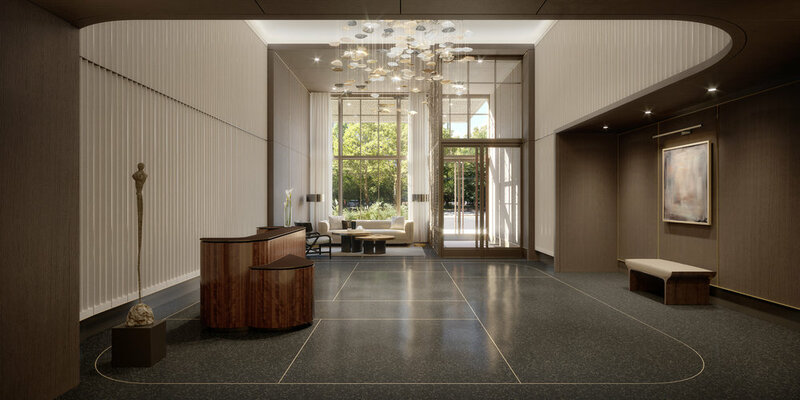 The concierge at 25 Park Row brings a wealth of fine services and à la carte experiences to the residents from theater tickets and reservations to fitness programming and catered dinner parties. On-site semi-automatic parking is also available for residents. Corcoran Sunshine Marketing Group is exclusively handling the sales and marketing for 25 Park Row.